Some of the greatest United States holidays involve quality resorts. Below we list some great vacation ideas state by state at all the top resorts around the country. From the volcanoes of Hawaii to the beaches of Florida we have tracked down all the best resorts in the United States in the destinations that the locals love and adore. This has not been any easy quest as there is such a huge range and variety. If you are traveling with a family it may also pay to check out the top family vacation spots in the USA. If you look at any list of the best resorts in the United States in a glossy magazine you will find Hawaii resorts are the most prevalent. When resorts are set up in Hawaii they know the guests that stay there are going to put a lot of research into where they are going to stay. The quality of service and facilitates adjust accordingly. In Hawaii, the dramatic island of Kauai hosts some terrific Kauai Luxury Resorts and there is also usually a golf course nearby. Maui is one of our more popular destinations in Hawaii. We have a review of the best Maui Luxury Resorts, Maui beachfront vacation rentals and the Travel Guide to Maui Hawaii for you to check out. Oahu is known as the gathering place to the local and also home to some of the best Hawaii resorts. See the best Oahu Luxury Resorts and Oahu family vacation options. The closest thing you'll get to an all inclusive resort in Hawaii is the great Disney Aulani Resort. In Florida, the beach plays an integral part of life and tourism. Orlando and the family orientated theme parks are also great for their purpose. If you really would like to experience the charm of Florida, head to some of the outstanding resorts in charming, pulsing, or laid back locations we have listed below. 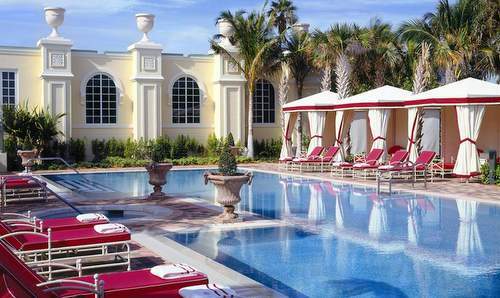 Acqualina Resort and Spa. Click here to read all about it. Florida has so much to offer. If you're unfamiliar with the area, this video should help! 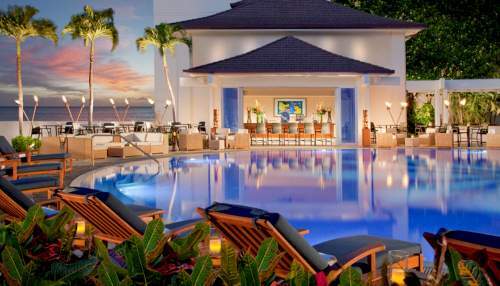 Hyatt Key West Resort and Spa is another favorite of ours. Click here to take a look. To see everything is Florida, take a look at the menu on the right for see resort reviews by location or visit our main Florida page. Puerto Rico resorts are not necessarily what you would think of when you think USA. We thought we'd add it in here is it is a great spot for a quality vacation and great resorts. The Ritz is here and is located in the capital which enjoys good beaches and a rich history. There are more outstanding resorts especially as you begin to leave the main island and venture out. Despite the images broadcast to us from endless stream of popular media that streams from this state with an economy bigger than most countries, California has soul. 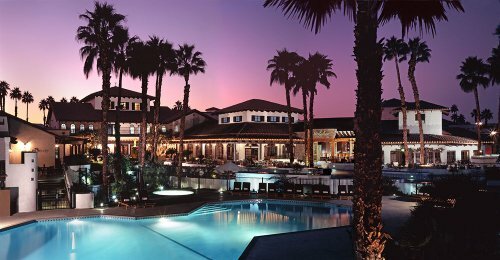 The resorts here are vary dramatically from the wine areas of the Napa Valley to the north, ski resorts in stunningly natural and beautiful locations like Lake Tahoe through the glitzy resort scene of LA and down to the family vacation wonderland that is San Diego. There are so many options here and if you need help choosing a focus, try this video to see what speaks to you. A glorious 60km beach vacation mecca for families. 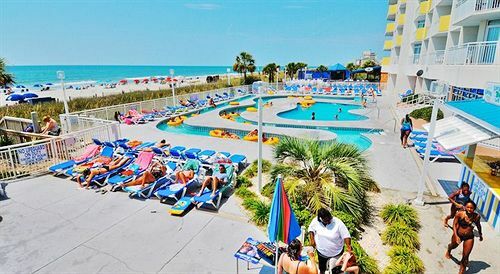 Myrtle Beach is on the east coast in South Carolina and definitely a well-known vacation destination. Arizona resorts offer more than the promise of warm sunshine when it cold elsewhere. 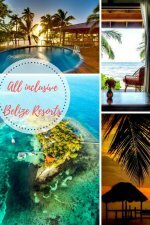 Many of these resorts are in secluded locations with spectacular settings. You don't even have to make it to the Grand Canyon to enjoy them either. Arizona offers a lot of luxury options as well as some good value resorts and accommodation. Scottsdale and Tucson are well-loved resort destinations and Arizona is a top pick if you are looking for a great spa or golf course. Video of the magnificent Enchantment resort in Arizona. In the north you'll find Michigan. It may not the first place you think of when you consider United States holidays. You may be surprised at how many beaches there are here. The great lakes are a great spot to visit. Colorado resorts are some of the highest in the country. Up high in the beautiful mountains. Some are sophisticated, some are quaint. They are also great for both summer and winter. 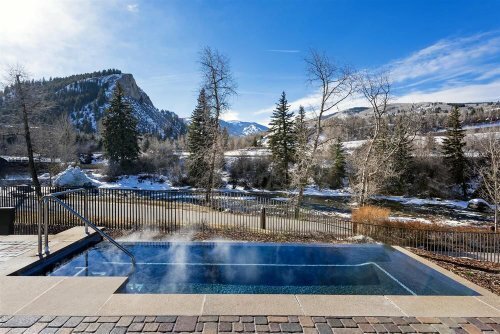 Find out about all the best Best Colorado Ski Resorts and Colorado Luxury Resorts including the great Aspen Resorts. Resort FAQ: Some of you were asking about Pearl River so here's what we have for you on that resort. Looking for the Pearl River Resort? It's a popular resort, so much so, that in fact, you'll notice that there are actually two of them. One is in the south while the other is in New York. Let's review two resorts in different parts of the country. This is a French Style place where you can have wedding or function. The chateau-like resort is in 17 acres of the Hudson Valley. The old style furniture and setting is awesome. It really creates a great atmosphere for that special occasion. It's less than an hour from LGA New York. Great recreational facilities include golf and great indoor pools like this one. How about those rooms? They have AC and fans. Some guests say the fans need updating but generally the rooms do the job well. 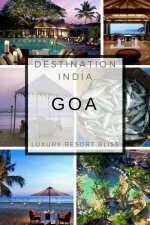 Luxury furniture throughout and a sense of ambiance set this resort apart as a place to escape and have that special day. 1,000 luxurious guest rooms in two complexes. There are 6 restaurants including two buffets in a southern style. Amenities here include golf at Dancing Rabbit Golf Club. Two 36-hole courses. Also there is nightly live entertainment. The rooms are good value for what you get. Worth a stay if you are passing through.